While the global licensing business is pegged at US$ 251.7 billion and India is one of the 3 emerging markets to watch along with Central America and China, what’s interesting is the route the growth story is taking in India. Entertainment Licensing continues to lead the trend, globally, but what’s interesting is to see how the forces are shaping up here. 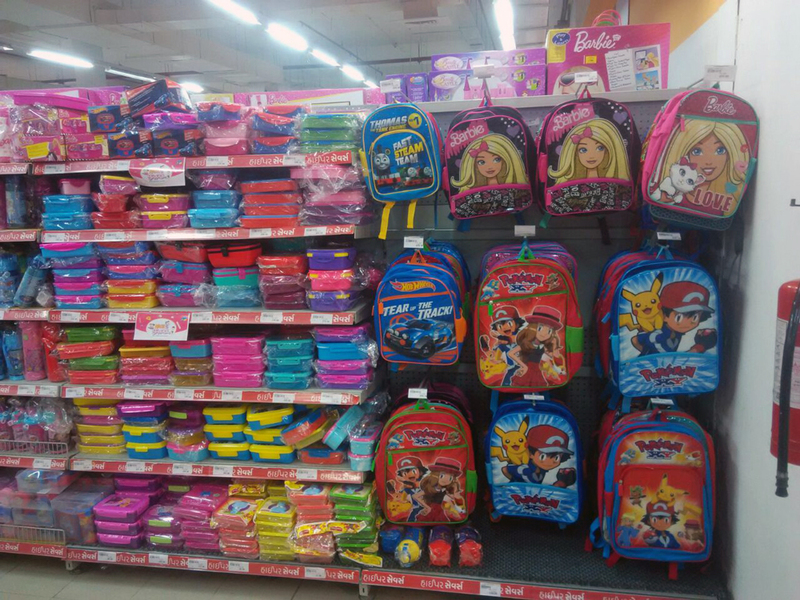 Kids and Entertainment licensing is the bigger slice of the pie in India, but there is a sea change in the brands at play from as little as 5 years ago. From kids apparel, dominated by studio brands from the west, there is a proliferation of Indian and Japanese brands, mirroring the trend of viewership on tv. So today, along with Mickey and Ben 10 we have a Chota Bheem, Motu Patlu and Pokémon doing brisk business. The other interesting trajectory is the growth of entertainment/animation brands for adults in apparel and apparel accessories. We are finally seeing the coming of age of an older audience that is sporting character brands on apparel and that’s the maturing of the industry whereby everything animation, is not equal to children. This interest around adults and merchandize is being fuelled by a mix of factors – far cooler designs, nostalgia quotient, easier access via e-commerce and large format stores and social media driven aspiration with celebrities sporting their favorite toon apparel. From a future trend perspective within apparel, both for kids and adults, the next big thing is going to be fashion and lifestyle brands. As kids grow older, and we are seeing this across the world, lifestyle, fashion, music will start taking over from pure play character merchandising. The adult market is also seeing the emergence of lifestyle and fashion brands in yet another sign of a maturing market. The Smiley brand is one such example, which earlier in the year was named the Best Lifestyle brand at the LIMA Hong Kong Awards. The second big trend is India is the emergence of Sports Licensing and soccer has taken the lead here over cricket. With next Gen India embracing soccer as the game of choice thanks to shorter formats, faster pace and the cool quotient of football stars, European soccer league clubs are seeing India as a growth market for the licensing business. For the fans, licensed merchandise is a way of connecting with the players and games beyond just watching it. FC Barcelona, Real Madrid, FIFA World Cups have had great success in India and there are at least half a dozen European Football clubs evaluating India as the market to be in. With the advent of India Soccer League and the upcoming FIFA U-17 World Cup that will roll out in October 2017, the domestic circuit events will further spur the football licensing story in India. Another spike will come with the FIFA 2018 Russia World cup which is seeing a 3-5 fold increase in the FIFA licensing business since its last outing in 2014 with 10+ categories and retail footprint spreading to top 20-25 towns, outside of e-commerce availability. And the third big trend is the emergence of Direct To Retail deals in the licensing business. Private brands are waking up to the massive potential of licensing. All top retailers in India have DTR propositions and single brand retailers are seeking out opportunities to partner with character and lifestyle brands. The current Jack n Jones Pokémon collection is a hot selling proposition and one of the many more that will be hitting shelves soon. Similarly, more and more online platforms are using licensing to create stand out propositions across apparel, accessories, gifts, and novelties in a heavily cluttered market. Kid’s birthday parties are no more about homemade sandwiches, cake, wafers, samosas or puffs with simple decoration around the non-staining walls of one’s own home. Gone are the days when “Simon said” or when the parcel filled with innocent punishments was passed around or when one received some candies and small chocolate goodies and simple 3 products stationery set as a return gift. Today, as adults move on with greater spending power and kids are inundated with choices, information, entertainment and exotic possibilities, parties have taken on the aura of an event i.e. a mega theme gala affair for kids and parents! Hence as with any event planning there is a lot of thought, budgeting and theme related choices being made. However in a consumer driven society like ours we need to be cognizant that there is a plethora of products available which are poor lookalike copies of popular characters and animation figures. In India, we have either direct imported goods from abroad which are definitely of good quality but also heavy on pricing available typically at Branded Party Supply boutiques. These are like the grey market purchases. Good stuff but often illegal sales. At the other end of the spectrum one is engulfed with party supplies, decorations, costumes and props in the unorganized sector on streets, mom and pop stores and wholesale markets. These are definitely unauthentic character imitations and cheap in quality. But sadly this is what most party planners prefer as the party products are regarded as supplies needed for no more than a couple of hours. In all this melée there is a mid-path. Authentic sanctioned licensed products. These products are officially legally permitted by the companies that own the character brands such as, Pokémon, Angry Birds, Avengers, Disney characters among many others. Admittedly this concept of brand ownership, representation and licensed merchandise may seem totally alien. Sadly we are not informed consumers as in the Western world. But this is what one needs to look out for. The products are available, have appropriate pricing with good quality standards, great designs and are legitimate across a variety of categories essential to a birthday party. Next time you plan your kids birthday or gift something to a kid fill the birthday basket with legitimate legally sold products available at a click of your finger online. SO junk the fake stuff and…. Go on, celebrate and make the Kid’s Birthday REAL! 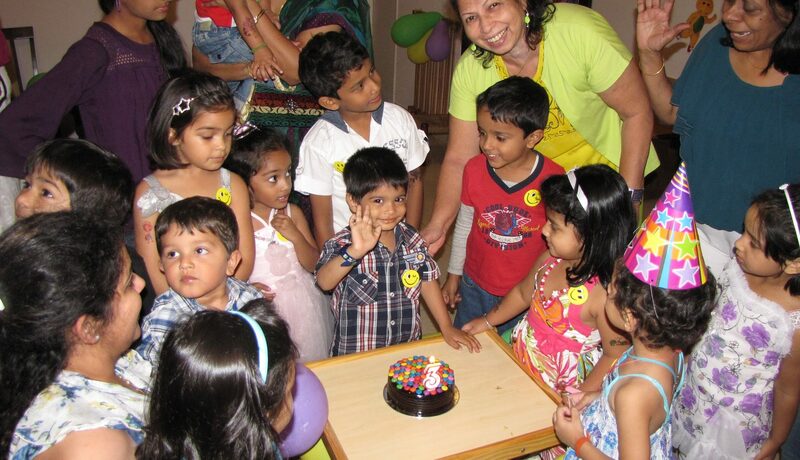 Log on to kidsmojo.com to see a host of birthday supplies you would love! Smiley has teamed up with retailer Zara for the launch of a new children’s collection. Having previously worked together on successful Zara Baby, Zara Woman and Zara Trafaluc ranges, the new deal sees Smiley tap into the kidswear market. The collection features jersey t-shirts, crew neck jumpers, jogging bottoms and more, all featuring the Smiley World branding. “After many years of collaborations, we are very happy to still see Smiley growing at Zara,” said Nicolas Loufrani, CEO of Smiley. “We are entering many new departments and our design and marketing teams are working hand in hand, almost daily to design and promote the best possible products for each product category and consumer target. Smiley and Zara’s latest range is available online and in stores now. If you have a smartphone savvy kid at home, chances are that not only they know about Talking Tom but are big fans of the app! The first ‘ Talking Tom’ app was launched in 2010 and the franchise has grown since, expanding from a series of apps to a global entertainment franchise with . An interactive brand that can engage in two way conversations with users, the app has been downloaded 3.6 billion+ times and counting across 230 countries – a true testimony to its growth in popularity! Dream Theatre represents Outfit 7’s digital brand Talking Tom and Friends in India and South Asia and is working on rolling out a slew of products across like sleepwear, kids wear, accessories, back to school, bags, games and puzzles. The app will soon be available on Viacom’s Video On Demand platform VOOT as well. The worldwide phenomenon Pokémon made a powerful come back in India last summer with its launch on Hungama TV. Launched on 19th May 2014 the show is been touted as the best kids show launched in 2014. 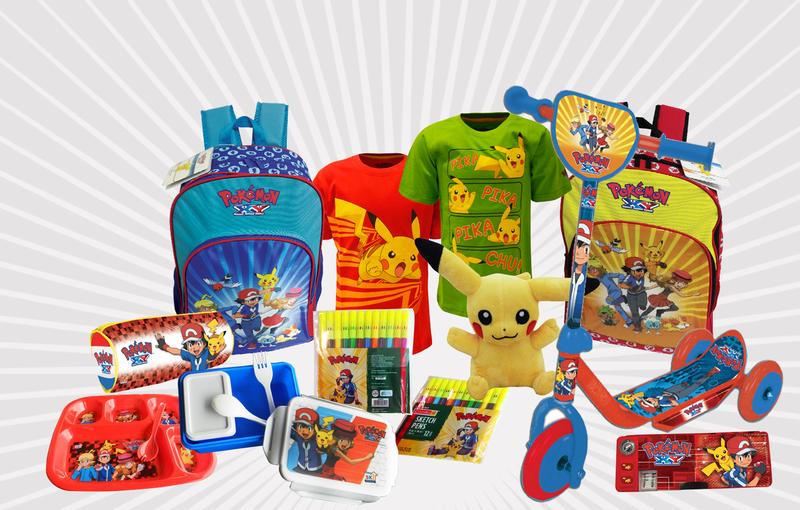 Dream Theatre Pvt Ltd. which represents Pokémon, the children’s entertainment staple for content syndication and merchandising in India and South Asia, have stared ramping up for continued success by launching Pokémon merchandise. Dream Theatre has done a formidable merger by collaborating with the stationery giant Camlin. Camlin has collaborated with Pokémon, with this launch there will be a range of Pokémon Sketch pens, Oil Pastels, Mechanical pencils and Fountain pens. The product range will carry the two leading characters from Pokémon Ash and Pikachu. The products will be priced at Rs. 30, Rs. 20, and Rs. 45 respectively. These products will be launched in the modern retail outlets in India.To support this up-beat product launch Camlin have built a Digital campaign which involves online gaming, contest, fun activities and some fun facts about the brand. Angry Birds, the mobile game of wingless birds and their battle against egg-stealing, grunting pigs has became an international phenomenon. Dream Theatre, owns the merchandising rights for this popular entertainment brand. It was only a matter of time before Angry Birds launched itself beyond the game, into new business areas like merchandising, publishing and media. 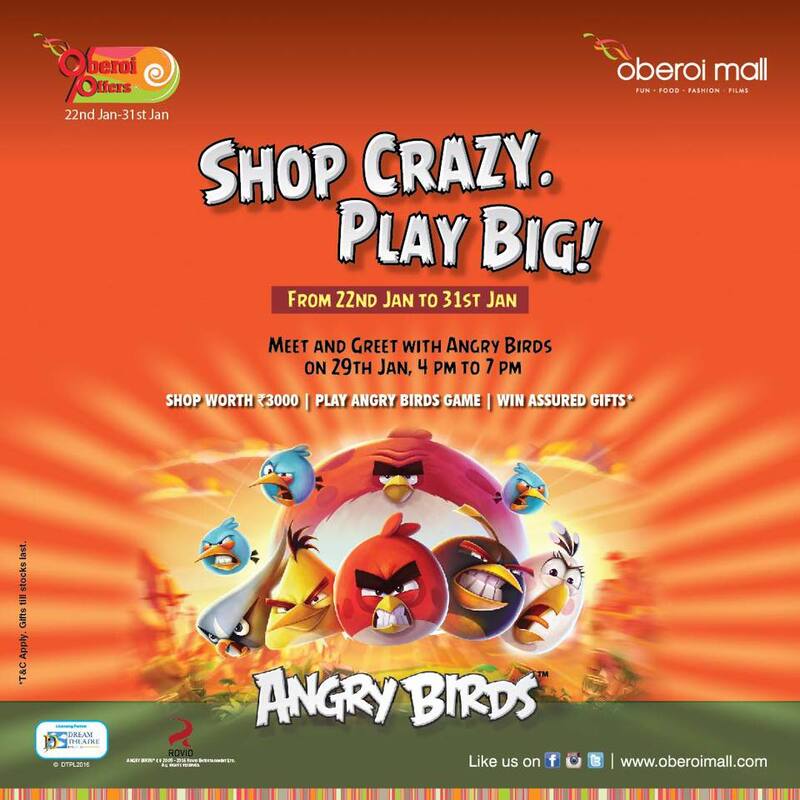 Dream Theatre’s aim was to extend the reach of Angry Birds in innovative ways, while still retaining the essence of the brand: fun, clever and almost addictively engaging. 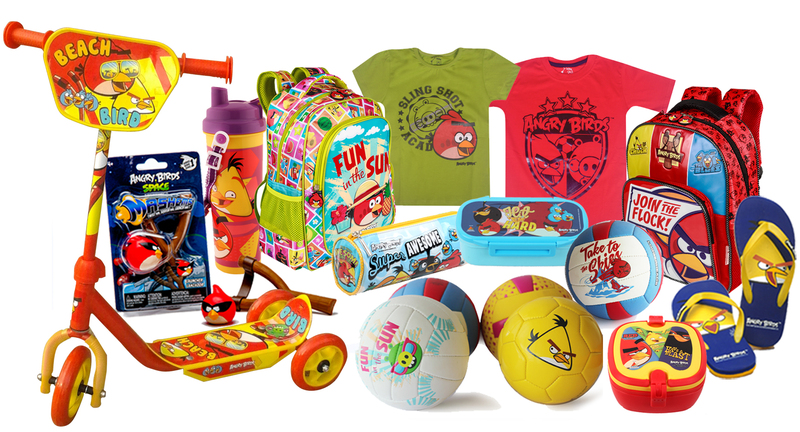 Dream Theatre identified 10 licensees, whose products were the perfect brand extensions for Angry Birds. For the Indian market, Dream Theatre has launched products across 14 categories, including toys, board games and apparel. These products are available across 1,500 stores besides multiple online platforms. Angry Birds has completed 5 years of existence earlier this year and their huge fan base in India continues to grow in strength. It’s the biggest addiction after Facebook and gamers on an average spend 20 million minutes per day with Angry Birds! Here’s more record breaking news: Angry Birds, in all of its forms, has been downloaded 2 billion times. And this massive popularity has led Rovio to come up with Angry Birds movie, which will be releasing in the coming year. It seems everywhere you turn these days, Angry Birds are there. To follow us on Pinterest and see all our licensed products, CLICK HERE.